Sarah Becker is McComb’s High School Counselor. 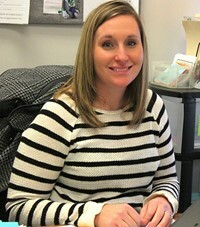 She received her Bachelor of Arts degree in Psychology at Miami University in 2008, and received her Master's of Education in School Counseling from Bowling Green State University in 2012. She is passionate about helping students achieve their academic, career and personal/social goals and will work with students however necessary to become high achieving, productive citizens of our community. Kristine Kern is the middle school counselor and this is her 11th year in the district. Before coming to McComb, she was an intervention specialist in London City Schools for six years. She has a bachelor’s degree in Special Education K-12 and a master’s degree in School Counseling K-12. Mrs. Kern is the advisor for P.A.W.S. (Panthers At War Against Substance Abuse) and Builder’s Club, a community service organization. She is on the committee for LPDC and is a member of OSCA. 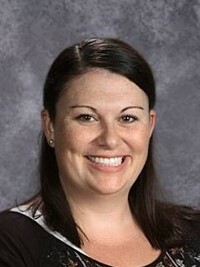 Melissa Day is the elementary school counselor. 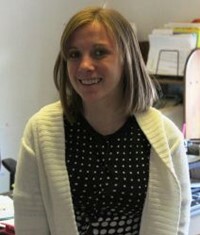 Melissa received her Bachelor of Arts in Psychology from Edinboro University of Pennsylvania in 2009. She received her Master’s Degree in school counseling from Bowling Green State University in 2013. Mrs. Day meets with students individually, in small groups, and in classrooms to discuss college and career plans, personal/social needs, and academic concerns. Melissa loves working with students and is thrilled to be a part of the Panther family. Parents, the press, administrators and the general public often wonder just what it is that school counselors do on a daily basis. Gone are the days of school counselors sitting in their office simply handing out college applications, making schedule changes for students who want to drop a class or meeting with the troublemakers in the school. Today's school counselors are vital members of the education team. They help all students in the areas of academic achievement, personal/social development and career development, ensuring today's students become the productive, well-adjusted adults of tomorrow. Learn more about the school counselor's role.